On Wednesday night, Marine Corp veteran Ian David Long walked into Borderline Bar and Grill in Thousand Oaks, Calif., and opened fire. The mass shooting left 13 people dead, including the gunmen, and many more injured. Unfortunately, waking up to news of yet another mass shooting has become just another part of daily American life. In fact, this most recent shooting marks the 307th mass shooting this year. That means we've had 307 shootings in just 311 days — an average of nearly one mass shooting every day — that have left 328 people dead and 1,251 people injured. And yet Congress, led by NRA-backed Republicans, still won't do anything about it. But that all could change next year when Democrats finally take control of the House. Please sign this petition demanding that the incoming U.S. House of Representatives introduce gun control legislation as soon as they can. American lives depend on it. Mass shootings have become so commonplace in America that some of the survivors of the Thousand Oaks shooting had also survived the horrifying mass shooting that took place in Las Vegas just over a year ago. Imagine finally regaining a sense of safety after surviving the deadliest mass shooting in American history, only to experience the terror and trauma once again just a year later. All because politicians are more interested in filling their coffers with money from the NRA and gun industry PACs instead of actually representing our best interests. Enough is enough. The time for gun control is now. 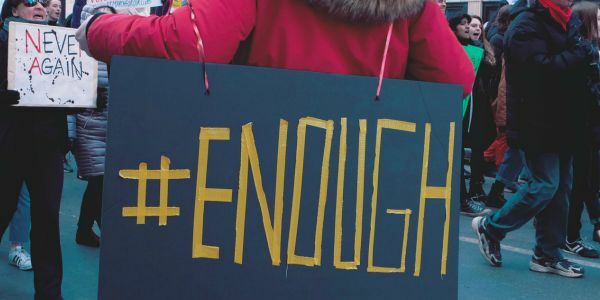 Please join in demanding that our new Democratic-led House of Representatives introduce sensible gun reform legislation right away.